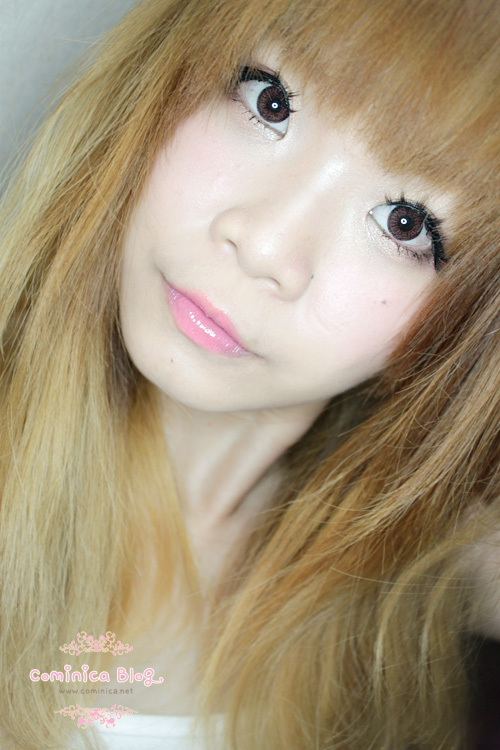 I wonder why circle lens diameter is become bigger and bigger now ≧△≦?. Lately, I received 19.5mm diameter and I was like "wtf?" hahahahha (゜∀゜). I was looking for a normal diameter circle lens for daily wear. I feel big diameter lens sometimes is too much for daily wear ⊙▽⊙. 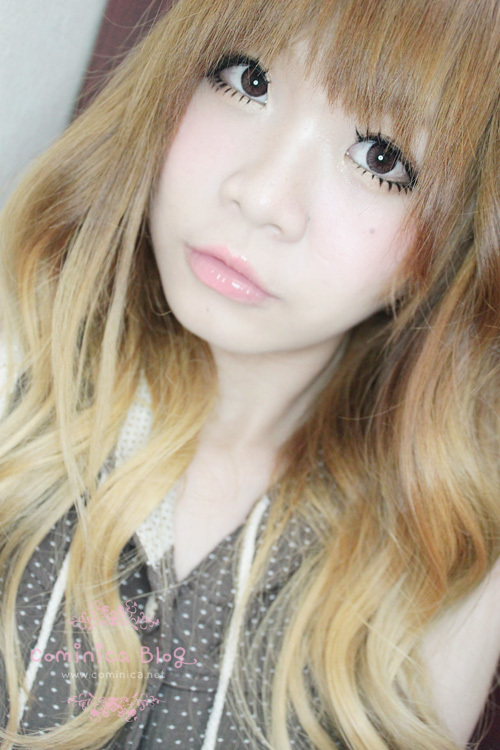 So, my sponsor TomatoShop sent me this circle lens for try, aww they're so kind! Sad, but this lens isn't that comfortable. I think the curve doesn't fit my eyes or probably because I wear bigger diameter a lot. I feel the lens isn't stay well in my eyes and dry quite fast. The lens is thin though but I don't know why my eyes don't feel comfortable with it. whhaaaat 19 mm!? Thats crazy!!!! That is such a pretty lens! I'm doing a giveaway at the moment and have a pair of lens with it ;] so please join. sure sure, will check it later okay! 19.5mm??? I cannot imagine anyone being able to pull it off unless it's for cosplay or something. This red wine and hazel pair looks very natural on you!! It adds enough definition to your eyes without looking too fake. I just couldn't go away your site prior to suggesting that I extremely loved the usual information an individual supply on your guests?